Our Pursuit of Perfection | Planning to do an MBA? Let me share my experience in this regard. Right after high school, my priority was to pursue a college major that would get me a good paying job. I was quiet content seeing myself as an Engineer or a Technologist working for a Fortune 500 company. Plus, a reputed MBA in Australia would require few years of working experience. So it was a blessing in disguise that I had to join the workforce after my undergrad. Life was good in many ways working as an Independent Consultant for Fortune 100 companies in the US. 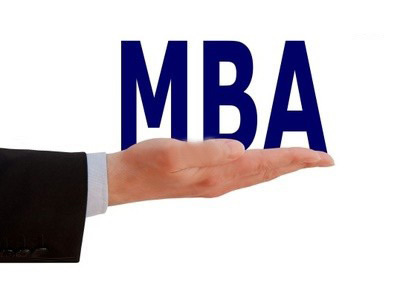 An MBA seemed a Perfect Fit in my late twenties, especially when I was playing a key role on some of the high visibility projects for Wall St majors like Merrill Lynch, Credit Suisse and Deutsche Bank. So I spent quiet a bit of time looking at various MBA programs. The key criteria were: It had to be in at least Top 20 (if not Top 5) and with some campus setting. Based on this, I zeroed in on: Wharton and NYU (Stern), they had good reputation on Wall St. Wharton, though very tempting, came with more commitment in terms of time and money. NYU seemed more practical and I was about to pull the trigger. Will I be ok with the increased responsibilities when I move up the ladder? Will I have enough time for contemplation, meditation and relaxation? Am I ready to sacrifice some of the values that I consider close to my heart? Observing the lifestyle (work and personal) of senior managers (Executive Management), I knew it wasn’t me, especially in the long run. I wasn’t ready to put up with the increased stress, pressure, schmoozing, having less time for my family, hobbies and interests. I’m happy that I didn’t take that route and instead I got to focus and spend my time/energy on more valuable things. So if you want more money, challenges, power (that a Top MBA program might offer), make sure you’re ready for the baggage that comes with it. This is for the experienced professionals. The ones that have just graduated, my suggestion is to work for few years. Get a taste of the real world first, see what you really like to do, what you’re good at and then decide. This entry was posted in Career and tagged Career, Higher Education, Management, MBA, Money, Success on August 3, 2012 by admin. Thanks Gabriela for the detailed feedback.